Alan Blum, MD, Professor and Gerald Leon Wallace M.D. 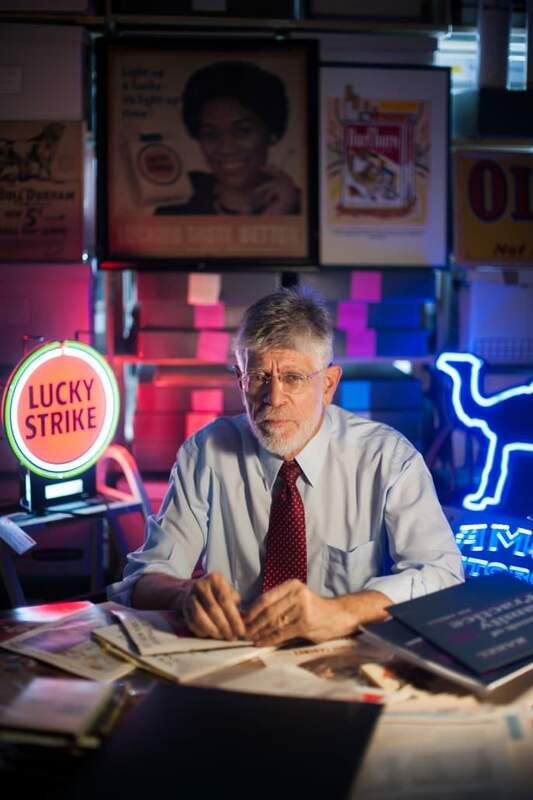 Endowed Chair in Family Medicine at the University of Alabama, is one of the foremost authorities on the history of tobacco use, cigarette marketing, and strategies to end the smoking pandemic. Since 1998 he has directed the Center for the Study of Tobacco and Society, which comprises the world’s largest collection of original documents, artifacts, images and frontline reports on the tobacco industry and the anti-smoking movement. In 1977, as a resident in family medicine at the University of Miami, Dr. Blum founded DOC (Doctors Ought to Care), a national nonprofit health promotion organization directed at counteracting adolescent-onset tobacco use and other killer habits. During DOC’s 25 years, local chapters were established at more than 100 medical schools and provided students and faculty with their first exposure to medical activism. Dr. Blum’s pioneering research identified trends in tobacco industry marketing strategies, including the targeting of women and minorities and the circumvention of advertising restrictions through the sponsorship of sports and the arts. In the 1980s, as editor of the New York State Journal of Medicine and the Medical Journal of Australia, he published the first-ever theme issues on tobacco at any medical journal. Dr. Blum served as Associate professor of Family Medicine at Baylor College of Medicine between 1987 and 1999. He has been invited to give more than 2,000 invited lectures on tobacco problems in all 50 states and at 11 World Conferences on Tobacco or Health; has authored more than a dozen textbook chapters and over 100 articles in peer-reviewed journals; and has created 12 museum exhibitions, including “When More Doctors Smoked Camels: A Century of Health Claims in Tobacco Advertising” at more than a dozen venues; “Cartoonists Take Up Smoking” at the National Museum of Health and Medicine; and a commemorative exhibition on the 50th anniversary of the Surgeon General’s Report at the Lyndon Baines Johnson Presidential Library and the Gorgas Library of the University of Alabama. Dr. Blum is a recipient of the John McGovern Award from the American School Health Association (1987), the Surgeon General’s Medallion, presented by Dr. C. Everett Koop (1988), the first National Public Health Award from the American Academy of Family Physicians (1992), the American Medical Association’s first Award for Distinguished Service on Behalf of America’s Youth (1990), the Gleitsman Award (1998) for medical activism, and an honorary Doctor of Science degree from Amherst College (2006) for a career dedicated to ending the tobacco pandemic. Blum A: A bedside conversation with Wilder Penfield. Canadian Medical Association Journal. 2011;183:745-746. Blum A: Alchemy, the safer cigarette, and Philip Morris (commentary). The Lancet. 2008;371:1644-1646. Stump AL, Mayo T, Blum A: Management of grapefruit-drug interactions. American Family Physician. 2006:74;605-608. Authors’ reply: 2007;76:190,192. Siegel MB, Blum A: FDA regulation of tobacco: Reprieve for the Marlboro Man? (commentary). The Lancet. 2006;368:266-268. Blum A: Tobacco in sport: An endless addiction? Tobacco Control. 2005;14(1): 1-2. Blum A, Solberg E, Wolinsky H: The Surgeon General’s report on smoking and health 40 years later: Still wandering in the desert (commentary). The Lancet. 2004: 363; 97-98. Blum A: Smoking aloft: An illustrated history. Tobacco Control. 2004;13 (supplement 1):4-7. Gopal S, Blum, A: Iatrogenic hyponatremic seizures after routine pelvic ultrasonic imaging. Journal of the American Board of Family Practice. 2000;13:451-454. Blum A: DOC’s Deck-o-Butts trading cards: Using humor to change youth attitudes about tobacco. Tobacco Control. 1995;4:208, 219-222. Blum A: Cigarette cards – irony in propaganda. Tobacco Control. 1995;4:117-118. Blum A, Wolinsky H: AMA rewrites tobacco history (commentary). The Lancet. 1995;346:261. White C, Blum A: Taenia Saginata tapeworm infection in a traveler to Mexico. Journal of Travel Medicine. 1994;1:168. Blum A: Paid counter-advertising: Proven strategy to combat tobacco use and promotion. In theme issue: Medicine in the Twenty-First Century. American Journal of Preventive Medicine. 1994;10(3):8-10. Blum A: An international conference of the tobacco industry and its allies: One delegate’s minority report. Tobacco Control. 1993;2:50-55. Blum A, Solberg E: The role of the family physician in ending the tobacco pandemic. Family Practice. 1992:6:674-678. Blum A: Cowboys, cancer, kids and cash flow: The 1992 Philip Morris annual meeting. Tobacco Control. 1992;1:134-137. Blum A: Counteradvertising. World Smoking and Health. 1991;16:2. Blum A: The Marlboro Grand Prix: Circumventing of the television ad ban on tobacco advertising. New England Journal of Medicine. 1991;324:913-916. Blum A: Score one for family practice (editorial). Southern Medical Journal. 1989;82:149-150. Blum A: The prince of darkness is a gentleman: How the cigarette industry is corrupting society. The Internist. 1984;25:7-11. Blum A: Remembering Sam Vaisrub (editorial). Chest. 1982;81:134-135. Blum A: Butting in where it counts. Hospital Physician. 1980;16(4):22-35. Blum A: Belt-tightening at the NIH (commentary). JAMA. 1980;243:1335-1336. Blum A: Medicine vs. Madison Avenue: Fighting smoke with smoke (commentary). JAMA. 1980;243:739-740. Blum A: Smoking guidelines for hospitals; Single-day treatment for smoking cessation; ‘Smokeless’ tobacco; Do cigarette smokers need Vitamin C supplementation? JAMA. 1980;244(2):191-193. Blum A: The need for not breaking the sound barrier (commentary). JAMA. 1980;244:1327-1328. Blum A: Who shall study medicine in the 1980’s? (commentary). JAMA. 1980;244:779-780. (Also letter in JAMA 1981;245:1632). Blum A: Fatal mononucleosis? (news analysis). JAMA. 1980;243:1793-1797. Blum A, Geyer JD: Tobacco and stroke. In: Geyer JD, Gomez CR, eds. Stroke: A Practical Approach. Philadelphia: Lippincott Williams & Wilkins. pp 33-38;2009. Blum A: Air travel and smoking. In: Goodman J, ed. Tobacco: Scribner’s Turning Points in History Series. Detroit: Macmillan/Scribner. pp 33-35;2004. Blum A, Jacobi L: Philip Morris. In: Goodman J, ed. Tobacco: Scribner’s Turning Points in History Series. Detroit: Macmillan/Scribner. pp 407-409;2004. Blum A, Solberg E: The anti-smoking movement post-1950. In: Goodman J, ed. Tobacco: Scribner’s Turning Points in History Series. Detroit: Macmillan/Scribner. pp 51-58;2004. Blum A, Solberg E: The tobacco pandemic. In: Mengel M, Holleman W, eds. Fundamentals of Clinical Practice, Second edition. New York: Kluwer Academic/Plenum. pp 671-87;2002. Blum A, Solberg E: The tobacco pandemic. In: Mengel M, Holleman W, eds. Fundamentals of Clinical Practice, Second edition. New York: Kluwer Academic/Plenum. Case discussions. 2002. Blum A, Rakel R: Nicotine Addiction. In Rakel’s Textbook of Family Practice, Sixth edition. Philadelphia: WB Saunders. pp 1523-38;2002. Blum A: Preventing tobacco-related cancers. In: DeVita et al, eds. Cancer: Principles and Practice of Oncology, Fifth edition. Philadelphia: J.B. Lippincott. pp 545-557;1997. Blum A, Solberg E: Revisionism, magical thinking, and hokey-pokey objectives in the anti-smoking movement. In: Slama K, ed. Tobacco and Health. New York: Plenum. pp 329-334;1995. Blum A, Daynard R: A review of divestment by medical organizations and academic institutions of shareholdings in tobacco companies. In: Slama K, ed. Tobacco and Health. New York: Plenum. pp 1005-1006;1995. Blum A: A history of tobacco trading cards–From 1880s bathing beauties to 1990s satire. In: Slama K, ed. Tobacco and Health. New York: Plenum. pp 923-924;1995. Blum A: Curtailing the Tobacco Pandemic. In: Devita V, ed. Cancer: Principles and Practice of Oncology, 4th edition. 1993;480-491. Blum A: Foreword. In: Nursing Care of the Person Who Smokes. 1993; ix-xii. Richards JW Jr, Blum A: Health promotion. In: Taylor RB ed., Family Medicine. New York: Springer-Verlag. pp 94-105;1988. Shank J: “Doctors Ought to Care”: A Model utilizing the Physician as Community Health Promotion Specialist. In: Community-Oriented Primary Care: From Principle to Practice. 1987;212-219. Blum A: Targeting of African-Americans and Latino populations by the tobacco industry. In: The Impact of Smoking on Minority Populations. The Surgeon General’s Interagency Committee on Smoking and Health, Washington, DC, 1987. Blum A: Cigarettes are very Kool. In: Encyclopedia Brittanica. Medical and Health Annual 1982: 148-161. Blum A: Smoking and the New York State Journal of Medicine (“Classics in Social Medicine,” on the occasion of the 25th anniversary of the two theme issues on tobacco by the New York State Journal of Medicine, edited by the author). Social Medicine. 2010;5:106-109. Blum A: Smoking guidelines for hospitals. JAMA. 1980;244:191. Blum A: “Single-day” treatment for smoking cessation. JAMA. 1980;244:191. Blum A: “Smokeless” tobacco. JAMA. 1980;244:192-193. Blum A: Do cigarette smokers need vitamin C supplementation? JAMA. 1980;244:193. Blum A: Auto racing: Slaughter on tobacco road. New York State Journal of Medicine. 1985;85:458-463. Blum A: How tobacco companies have found religion. New York State Journal of Medicine. 1985,85;445-450. Blum A: Japan: Land of the rise in lung cancer. New York State Journal of Medicine. 1985;85:425-427. Blum A, Califano JA: Obstacles to the prevention of teenage smoking. New York State Journal of Medicine. 1985;85:360-362. Richards JW , Blum A: Pharmacists who dispense cigarettes: With reference to drug store chains and pharmaceutical companies. New York State Journal of Medicine. 1985;85:350-353. Blum A, Wroblewski M: Diversification in the tobacco industry: State-by-state analysis of tobacco industry holdings. New York State Journal of Medicine. 1985;85:328-334. Blum A: If smoking killed baby seals… New York State Journal of Medicine. 1984;85:282-285. Blum A: Using athletes to push tobacco to children. New York State Journal of Medicine. 1983;83:1365-1367. Blum A: When “More doctors smoked Camels”: Cigarette advertising in the New York State Journal of Medicine, 1934-1953 (historical review). New York State Journal of Medicine. 1983;83:1347-1352. Blum A: Cigarette smoking and its promotion: Editorials are not enough. New York State Journal of Medicine. 1983;83:1245-1247. Blum A: Alan Blum on Why Physicians Need to Be More Active and Creative in the Clinic, Classroom, and Community in Smoking Prevention and Cessation. Cancer Network. 2017;31(1). Blum A: Blowing smoke: The lost legacy of the Surgeon General’s Report on Smoking and Health (editorial). ONCOLOGY. 2014;28:418-422. Blum A: Nicotine patches and nicotine gum: Deja vu all over again? American Family Physician. 1992;45:2493-2494. Blum A: Nicotine gum and the medicalization of smoking. Annals of Internal Medicine. 1984;101:121-123. Blum A: Plain cigarette packs: A creative challenge for Big Tobacco. The Lancet. 2010;376:418. Blum A: Listening to the hypertensive patient. Hospital Physician. 2007;43(8):7. Blum A: Addressing tobacco addiction: A neglected cornerstone of preventive cardiology? Atlanta Medicine. 2011;82(2):12-17. Blum A: Counseling is key to smoking cessation (editorial). Family Practice News. 2006;36(12):12-13. Blum A: Counteradvertising (editorial). World Smoking and Health. 1992;16(3):2. Blum A: Ban of menthol cigarettes needed. The Birmingham News, Apr 3, 2011, 1F, 4F. Blum A: With open arms: University welcomes tobacco recruiters to campus (invited commentary). The Birmingham News. Mar 5, 2006, C1. Blum A: Former Surgeon General Julius Richmond’s 1979 speech still inspirational (op-ed). The Tuscaloosa News. Aug 3, 2008, 8D. Blum, A: Canaries in the mine: The airline flight attendants’ fight to end smoking aloft (long version). 2003. Blum, A: Canaries in the mine: The airline flight attendants’ fight to end smoking aloft (short version). 2003. Blum, A: Oral pathology of tobacco. AAFP Home Study Self-Assessment. November 2001. Audio.